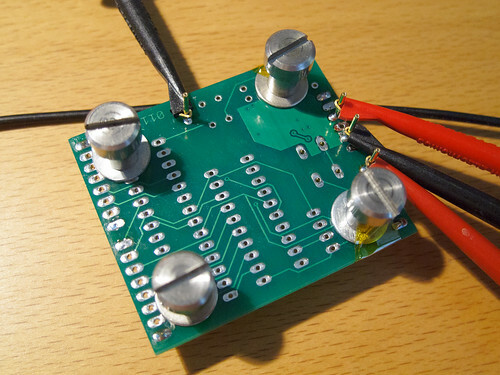 From EngBlaze comes a great article on turnings a rats nest of wires into a circuit board. The article is filled with good tips! I've quoted four sections of the article below. Trust me, I know how easy it is to make these mistakes! In standard electronics nomenclature, serial TX stands for “transmit” and RX stands for “receive”. Unfortunately, part manufacturers aren’t always so kind. On some devices, TX is an input and RX is an output, defying all logic (or using some twisted reasoning where you need to tie both “RX”s and “TX”s together). Even if they do use the normal notation, it’s easy to get things crossed up, so make sure you double check your prototype connections before you implement them in your PCB schematic. Notice a theme with the checking yet? Welcome to the wonderful life of an engineer. As a real engineer, you’re responsible for real things, often expensive ones. As un-glamorous as it is, double checking just about everything ensures that you only have to make that expense once, not twice. In this case, it’s important to check the footprint of your board to make sure that your components are placed and sized correctly, and won’t get in the way of each other. The best way to do this is to print out your silkscreen layer 1:1 on paper. If you have chips or components that you’ll be using on the board, place them on the paper to see if their footprints are correct. Mounting your PCB in your project should be a primary concern, because you’re usually aiming for the smallest footprint possible and dealing with very tight tolerances. When designing your enclosure, make sure you’ve accounted for standoff height and the dimensions of your largest components. “Will my lid fit over that 1000uF capacitor?” is a question that many PCB beginners wished they had asked. Also, make sure that any connections leading to the outside world (power, USB, ethernet, etc.) have a clear pathway to where they’ll be externally connected. In the case of any on-board connectors, you’ll have to make sure that your alignment between the board and your enclosure is spot on. When laying out the board itself, remember that your standoffs will be much wider than the standoff-screw holes, and can interfere with other components if you’re not careful. One way to avoid problems is to account for the standoff width with a custom footprint, such as the 4-40 standoffs in the Sparkfun Eagle library. Doing your own version in Eagle or any other EDA software should take only a few minutes, and is well worth it. Double check that all ground planes and traces are connected to each other, and connected to any external ground you’re using. Different components using different ground reference can cause serious problems that are extremely hard to debug. In addition, it’s good practice to provide a path to ground that is direct as possible. Make your ground plane as unbroken as possible, without a lot of traces cutting it into pieces or components that current has to flow around. Good article, another good find Jon. On the note of TX/RX mixups, it seems you have a 50% chance of getting it right. Experience tells me this is never so! Having throughly checked things in the past and still somehow managed to screw things up, I now tend to include a Zero Ohm resistor in the TX and RX paths (certainly on the first revisions). A small price to pay for the ability to easily desolder the Zero ohm res, add two small linkwires and still have a workable board, rather than having to cut and strap traces (possible but a pain to do)! On the note of TX/RX mixups, it seems you have a 50% chance of getting it right. This has happened to me too. I double check that an "output" goes to an "input" on the various data sheets. Sparkfun has a level conversion board that's labeled Tx and Rx, from the micro's perspective rather than its own, which causes me no end of confusion. Not a new problem to be certain. I used to have a book (long ago lent to somebody and never returned) on RS-232 interfacing. The first advice in the book was to throw out the documentation. Chances are, it's confusing and often just wrong. It's easier to sleuth it out rather than spending time working with bad information.